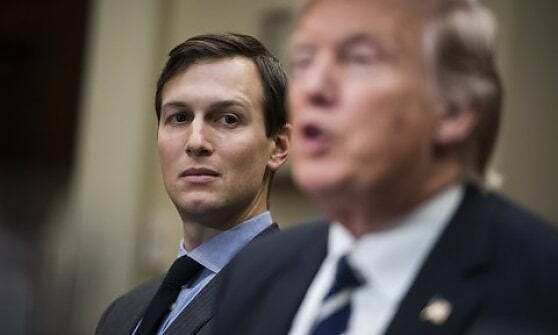 According to multiple media sources, the Trump-Kushner Middle East peace plan has been finalized and is ready to be unveiled—probably shortly after Israeli elections, which are less than eight weeks away. Only five people have access to the plan, but Kushner will soon be traveling to the Middle East to preview the deal to regional Gulf partners. Details are scarce, but it is widely expected that the plan will divide Jerusalem and the Holy Land by establishing the nation of Palestine within the biblically-defined territory of Israel. If this "Ultimate Deal"/"Deal of the Century" is agreed to, it will undoubtedly trigger the final series of events leading up to Daniel's 70th Week. It is looking increasingly likely that this peace plan will be revealed to the world while Israel is still 70 years old, before the nation's 71st birthday. Go figure—the deal that may trigger the 70th Week, unveiled while Israel is 70 years old by a modern day Cyrus who was born 700 days before Israel's reestablishment during a blood moon, was 777 days old when Israel was 77 days old, was 70 years, 7 months, and 7 days old upon inauguration, and celebrated the two year anniversary of his inauguration in Israel's 70th year during another blood moon. If the Tribulation was Christmas, the removal of the Church from the earth would be akin to Thanksgiving. Since we're now seeing all the Christmas decorations going up, including the monumental Revelation 12 Sign and virtually everything needed for construction of the Third Temple, we should really stop to think about the seriousness of it all and what we and the ones we love are about to experience momentarily. And how could it be anything but Divine orchestration that Trump-Pence ("Trumpets") would be the administration in place over the world's chief Gentile nation and the very administration unveiling what may be the prelude to Daniel 9:27 as all of this unfolds? AWESOME! What a time we are all living in! May the Lord our God, through Jesus Christ, His Son, be praised for ever more!!! Please clarify, I thought the 70th yr ends in March? Will they reveal the plan before the new year (religious) starts? Also, if this is THE proohesied covenant how does that fit since the AC is the one who confirms the deal with Israel and I doubt Trump would be the AC? Or could it be that this deal fails (since trump is likely NOT the AC) and someone else (the AC) comes forth with a "better deal"?? I think that Trump's peace deal will fail, leading to a major war in the Middle-East (Psalm 83/Ezekiel 38 and 39) and that from the EU the antichrist will come to power during that war. He will be the one to confirm a peace treaty. Biblical years run roughly March/April to March/April, so in that sense the biblical year is coming to an end next month, but in my article I was speaking to Israel's age (Israel turns 71 on May 14, 2019). Until May, Israel is 70 years old. 1. Trump-Kushner peace plan unveiled. 2. Rapture some time, probably very shortly, later. 3. AC rises to global prominence (Seal #1). 4. Pre-trib wars against Israel, definitely Ez. 38, possibly also Ps. 83 (Seal #2). 5. AC steps into the aftermath and strengthens and probably adds to the Trump-Kushner peace plan. Israel is standing firm against Iranian entrenchment in Syria and Russia has already warned Israel twice on attacking Iranian military targets in and around Damascus. One of the last, if not the last, Israeli assaults took place in broad daylight. Iran responded with a surface-to-surface missile into the Golan which was intercepted. Both Iran and Israel have signed (separate) free trade agreements with Moscow; yet all three are locked into this *dance*. What event(s) will it be that trigger a broader confrontation that drags Moscow into the fight? Like goads into the jaws of a beast, I think that economic and military alliances will force the Kremlin's hand. I hate seeing it come to this but I know very well that Satan will have it no other way. I neither hate nor have anything against these peoples or governments. I would prefer to live in peace with them but the truth is that sin must be dealt with in all of us before that can happen. The LORD Himself can and will rebuke them. Sin must, and will be, dealt with to a complete, final and irreversible solution. That's for all of us. It’s Kushners peace plan. Not Trump’s. And it very well could fail and Macron has his ready to present as well. Yes, it is Kushner's plan. Mr. six six six of Noo Yawk. Cush was the father of Nimrod. Kushner has the look of the dragon, and so does Ivanka. Ma-crone as well; there is evil in his countenance. thanks Gary....here's another great article detailing these events..
At http://erikagrey.com/index.php/2019/02/05/us-israel-peace-plan-finished-but-not-yet-revealed.html "US Israel Peace Plan Finished but Not Yet Revealed". i24news is reporting that the Fox report was in error and that the peace plan is not yet complete. In a tweet, Greenblatt told the popular US news network [Fox News] that their sources gave them "bad info." "'While the plan is close to complete, we aren't there yet & we'll continue to refine it until release. 175 pages is also inaccurate. It's a very detailed political/economic plan but not that long,' Trump's envoy said." News on this front may be fluid so I think we can expect a "moving target" as news outlets scramble to get the story. At this point there is so much smoke and mirrors until it's actually unveiled... I don't think we'll know exactly what's going on behind the scenes until April. Also, the Fox report is citing two senior admin sources. Probably pretty reliable, imho. We'll see. Interestingly, it seems there is something entangled with characters involved here. FOX was also a culprit, just recently, of the RBG is/isn't gone kerfluffle. Whether dis-info actions or inept reporting control, these 'birds of a feather' seem on the same branch currently, Maranatha! The next few months could be momentous since we know for sure that Israel turns 71 on May 14, 2019. Election in Israel is April 9 and PM Netanyahu and his party should win easily if no indictment. God's Will be done. "For the mountains may depart and the hills be removed, but my steadfast love shall not depart from you, AND MY COVENANT OF PEACE SHALL NOT BE REMOVED," says the LORD, who has compassion on you" (Isaiah 54:10). Sorry, but all prophecies based on when the Rothschild family, the synagogue of Satan established "Israel" have no bearing on the reality that only God can establish His people. God is in control of world affairs, not the Rothschilds. Maybe they think they're pulling the strings, but they're not. God can use anyone, friend or foe, to accomplish His purposes and He does. Absolutely. I am also open to listen , watch and consider conspiracy from Illuminati, Aliens (Nephilims) , Freemasons etc...and all I can think of is that GOD will make it happen and He will just blow our minds to say " how did that happen?" That 70 year duration in verse 12 sure looks suspicious of having started on 5/14/1948. I didn't think I'd be saying this today and I pray I won't have to say it a year from now, but the signs we're seeing now for the rapture of the Church, are far greater than the Rev 12 sign in my opinion, and I was almost 100% convinced that the Rev 12 sign was the prophesied date. There are so many little arrows pointing to the 1st half of 2019, it feels like it just has to be so. https://www.youtube.com/watch?v=MXfG8amiFTE (Watch) One World Religion is ready to go. As it is written, so shall it be. This is US initiative to gather the Nations of the world against IRAN. IRAN has said that this hostility will be reciprocated. I didn't know about this. Thanks for the heads up! ...and Iran was formerly known as Persia. At http://erikagrey.com/index.php/2019/02/13/many-no-shows-at-us-mideast-peace-confernce.html "Many No Shows at US Mideast Peace Conference". Pope meets Imam in historic first meeting. Historic alright. And IDF continues to pound Iranian positions in Syria. IDF has absolutely unleashed on them. https://www.timesofisrael.com/pm-warns-iran-attack-israel-and-it-will-be-the-last-anniversary-you-celebrate/ Bibi is also Defense Minister. I am not sure if this has ever come to anyone's mind, but doesn't the AC need to be Jewish? I would think that the Jews would not accept a false messiah, unless they were Jewish. I know that Macron fits the AC (Not saying he is), but he fits very well into that role. Not sure if Macron has any Jewish DNA in him. I know that Macron is a direct descendant of Talamy (probably spelled his name wrong), his full name comes out to the number sequence of 666, he has formed a 10 nation army in Europe, he says he's going to rule Europe like the Roman God Jupiter, he is a globalist, he is very intelligent, and speaks several languages. Any thoughts are appreciated. Hi Chosen, I was looking into this last week actually. I was reading about the Beast that comes out of the sea from Daniel 7 and Revelation 13. His ethnicity is Greek/Roman, Iraqi, Iranian. So he will be middle eastern and european. Also known as the Assyrian, he is not Jewish at all. So it must be that the Jews will accept a false messiah who is not Jewish, will make think he is Jewish and he will deceive them. I don't think they will accept a Gentile messiah. Yes, I have long suspect (and discussed here) that the AC may be outwardly a Jew. I am not one to name drop but have my suspicions on who it could be. (Yes, I believe he is active today manipulating minds and pressing perspectives). I expect that he will be someone of influence, education and political power. They will most certainly have the trust of the Israeli government and surrounding leaders. The beast that rises from the earth is, I believe, AI and *perhaps* personified by Sophia. I have no bones at pointing a finger at a machine. The binary lamb that speaks like a lion. Earthen in manufacture, metal and silica substrates. But as for the first beast, Israel will not accept a Gentile messiah. and my cup; you hold my lot. IN JUST TWO VERSES - We can see something is building up and in existence in our time TODAY. Now....there is no book in the world able to describe what we see now today. EXCEPT THE BIBLE. "The 'One Belt, One Road International Grand Cay New Business Leaders Awards Ceremony' hosted by the China-South Africa Liaison Department was successfully held at the Guangzhou Baiyun International Convention Center. As the world’s leading social robot, Sophia was awarded the title of 'One Belt, One Road, Innovative Technology Ambassador.' The robot born in Hong Kong, Sophia, will use this honor to promote the meaning of China’s 'One Belt, One Road' to the world, and to visit the countries of the Belt and Road to exchange culture and technology." "The Kushner Companies has finally struck a deal to get the building that was supposed to be the centerpiece of its portfolio, but instead had weighed it down for years, off its hands." "The Kushners bought the Fifth Avenue skyscraper in 2007 for a then-record $1.8 billion." Kushner and Macron are both very interesting characters to watch, though my eyes are on Macron at the moment. The events unfolding, according to God's plan, are so big and I am so small. I'm grateful for places, like this, where I can go to find encouragement and solace. well spoken my brother! Amen- even so come Lord Jesus! When you see the full and actual name of this summit it is hugely eye-opening. In years past, we have seen many individual speakers, group platforms, and committees/conferences promoting the idea of peace and security/safety. However, they were usually less obvious - speaking of peace in general terms, or safety for the civilian population of one nation or another. Not now. For those who have eyes to see, this could not be any more obvious. When I saw the name, I got the goose bumps. It is: Ministerial to Promote a Future of Peace and Security in the Middle East. Wow! God in His infinite goodness and desire that none should perish has just given us an enormous sign (IMHO), and the vernacular is straight from the pages of Scripture! Sometimes I think the AC might be Sebastian Kurz who is currently the youngest leader of a country in the world. That alone makes him unique. His parents are Roman Catholic, so not Jewish but could be part of the One World Religion no doubt. Thank you Steve Ho for answer. The wonderful thing about the AC, we won't be here to know who he might be. The rapture is right around the corner. Come, Jesus come!!! How do we reconcile some of these statements considering Israel's 70th year ended on May 14, 2018? Israel's 70th year didnt end on the 14th of May 2018.. It started on that date.. It's 70th year ends on the 13th of May 2019.. Same way as when you turn 40, you are 40 all the way through the year until you turn 41. Time is close my friend.. I believe we will be hearing that trumpet blast any day now. We may not know the day or hour, but we are children of the light ... best in Christ, saints, keep looking up! Praying for you too sister Sherry. Prayers coming, count on it! Prayers as soon as I post this. Keep us updated dear sister. So Happy to know this Sherry, Amen! Bless you Ed! Thank you for the update Sherry! Will continue to lift you all in prayer for strength, healing and no complications. Grace and peace to you always through our Lord and Saviour Jesus Christ! Sherry, I know it's hard and stressful for the patient and the family. Both my parents had the same surgery. Recovery does take time but God is always with you. I played a tape of healing Scriptures in my mother's room because I wanted the Word of God to fill her room. It helped all of us. Glory to God. Praying for both of you. "Peace and Security in the Middle East"
I believe that this peace plan will either fail or be delayed. Possibly will lead to pslam 83 and the destruction of Damascus prophecies being fulfilled.Sometime later the Ezekiel 38 war but while all of this is going on, the revived European empire with the ten kings builds itself. After all of these wars, the Antichrist will probably step onto the world scene out of Europe and make the failed or delayed peace plan stronger and thus begins the start of the tribulation period. The church will either be raptured before all of this even occurs or we will be blessed to see all of this come to pass, can lead more souls to Christ and sometime after the ezekiel 38 war we head home. This is my guess. You raise good points. I'm about where you are with this. I think we'll see a framework (probably the Trump-Kushner plan) and rapture, followed by war, will delay it. The AC steps into the aftermath. The 7 year covenant of Dan. 9:27 is exactly synonymous with Daniel's 70th Week (aka the Trib). See comments below @SoCal Guy! "A newly discovered asteroid flew past Earth at a distance of 0.31 LD / 0.00079 AU (118,182 km / 73,435 miles) on February 11, 2019. This is the 6th known asteroid to flyby Earth within 1 lunar distance since the start of the year and first since January 27." "On Feb. 13th, Comet Iwamoto (C/2018 Y1) made its closest approach to Earth in more than a thousand years." "Following a highly elliptical 1371-year orbit, Comet Iwamoto's last passage through the inner solar system was around 648 AD (unrecorded), and its next won't happen until 3390 AD. That means Feb. 13, 2019, was a rare night indeed." The Jewish Rabbis stating that the false Messiah, otherwise known as the antichrist, will arrive before the elections in Israel on April 9? Very strange that it seems to coincide with this at http://erikagrey.com/index.php/2019/01/29/macrons-en-marche-will-announce-surprise-candidate-antichrist.html "Macron’s En Marche Will Announce Surprise Candidate- Antichrist?". So this morning as I wrap-up my study time I pick up my phone and it is 11:11 am. It keeps happening over and over again. Certain recurring numbers every time I look. The first thing I thought about was that 1111 is equal to a nibble in computing terminology. (One half of a byte or four bits all "turned-on" as it were). 1111 is also a binary number that equals 15 in decimal or F in hexidecimal. I may be mistaken but I believe the name of the number 15 in Hebrew may be written as "יה"...and "יה" translates to "God". "F" is the sixth letter in the English alphabet. The sixth letter in the Hebrew alephbet is "ו" which symbolically represents a tent stake, spike or nail. Place three of these characters together you can see, "111", "1:11" or ("ו","ו","ו") which may be interpreted as representing 666.
on those who saw them. Going back to my life now. As one who has previously commented on the subject of seeing 11:11, I so appreciate your research into what it could possibly mean. I would like to add another thought which came to me just before you posted. For me, 11:11 is always expressed in time so looking at it in those terms I discovered 11:11 is unique in relation to all other times. Not only is it a mirror image but a twin as well. The beginning is the same as the end. The end is the same as the beginning. (sounds familiar). No other set of numbers as relating to time, share this quality. Now consider military time… 22:22 shares the same traits, however, it converts (changes) to 11:11 universal time. 11:11 remains 11:11 in both military and universal time. It is a constant. There are others on this site who could most likely take this thought further and to be honest, I’m not sure that it would even go anywhere, but did find this interesting. Reading through your recent comments about this phenom, my attention was quickly drawn to your mention of the Hebrew spelling of God and how similar it looks to 11 11. I too had seen this previously. My personal experience is this, I’ve seen the numbers on numerous times with an occasional break. The first set of sitings ended with Nov. 11., then started up again after a brief interval. During this period, I was struggling with beliefs instilled in me as a child (and into adulthood) regarding salvation. As Gods timing would have it, there was also a lot of discussion among the family both here and on other sites about this subject as well. Because of the struggle and again being shown these numbers, I went back to Strongs (G#1111) and discovered a verse I had not read before. Instead of just reading the verse, I read the whole chapter and there right before eyes was the answer. They were such beautiful words. “Jesus answered and said unto them, “This is the work of God that ye believe on him whom he hath sent.” John 6:29. What had always been a difficult journey in understanding had suddenly become so simple. The very manner in which God led me to this point of discovery is still very emotional to talk about. I stand in awe of HIS greatness. My point is this… 11:11 is being shown to many and I believe it may mean something different to each individual. Or not. Maybe it’s all about what we learn on the path of discovery. Blessings to all! PR, when you said, "i'm going back to my life now", i laughed out loud!!!! Okie Proud, You caught my drift and the trigger to dig deeper and let the Spirit lead you for the teacher He is. There are too many rabbit holes to dive down and not enough characters in a text field (nor time) to dig on all let alone to post them here! I'm glad you found (John 6:29). The truth is as simple as can be yet so profound you will never comprehend it all in this life. Thus the reason why I say, "Happy hunting!" Ozark, glad you got it. One may think that I spend way too much time jumping down holes! Ozark, You always make me smile with your comments. Your point about 1+1+1+1 = 4 each other in Christ was well taken. Adding this to my list of 11:11 nuggets. Pastor Rich, your words ring so true. For the first time in my life, reading His word, discovering it's meaning(s) is something I look forward to everyday. It's exciting to wait and watch for the next revelation God sends my way. Happy hunting and watching indeed! One more pin-point on "1111". The binary number 1111 equals 15 in decimal. Month 1 Day 15 of the ecclesiastic calendar is the day Israel left Egypt. (430 years of captivity). If years were days and days were Sabbaths then 430 Sabbath days from the beginning of the Great Sign of Revelation 12 on Friday, September 22, 2017 is Hanukkah Day 1, 2025 and 77 Sabbaths is Spritual New Year 5779. A time, two times and half a time are periods of time based upon the Hebrew calendar. Thinking of the Spring/Fall Equinox divide the prophetic year up in halves. 360-days per prophetic year (same degrees as a circle); 180 days per-half year. Lunar orbital period is approximately 29.5-days. Half one-year is 177-days. Start leaning into your ecclesiastic calendars and calculate the days from the beginning of the Great Sign forward using 360(360 x 2)+180 as your guide -- compare them to the calendar, Torah and Haftarah readings from Scripture and you start finding some VERY interesting things. Hint: The Great Sign (the starting point) was on the Autumnal Equinox! Hint: Creation Week ends with the Great Sabbath which is also known as Shabbat HaGodol. Hint: Dig on the meaning of these Sabbaths! "...fell in the depths of darkness at the very end?" In other words, was witnessed as a *flash of light* marking the beginning of a period of time in (or from) *a place of darkness* at the edge of visible (known) creation -- and the creation be represented by the visible disk of the eclipsed moon? May that event be a witness and a warning to Israel (nation who's calendar is governed by the moon) as to the nearness of their time of trouble? Like I said, not enough time or space in this place. So much to chew on but you've got my wheels turning. As a novice the leg work you have already done gives me a great head start. One thing you did not mention but may not have seen... Another person recently posted about the quick blackout of Sirius. He then mentioned a second star and blackout which is predicted to last 11 secs and was located at 11°. Hope I remembered all this correctly. Debka is now reporting that the Trump admin won't release the peace plan till after the first half of 2019. I hope that's not true and that the Trump admin is only saying that so Bibi Netanyahu can focus on his re-election. I want prophecy for the Church fulfilled and wrapped up this year! On a different note, not sure if anyone here knows about Alain at the Ministry Revealed YTC. He is advocating a final 14 years which initially took me aback, but it seems well supported by scripture. Jacob (as Christ) first had 7 years with Leah (Church) then 7 years with Rachel (Israel), then there is Joseph (as Christ) with a foreshadow that there would be first be 7 good years (consummation and feast with the Church), then the last 7 bad years (with Israel). Notice that Christ's time with his bride the Church is not while Israel is going through hell (which makes more sense), but after. 14 years from now also takes us to 2033 an exact 2000 years from the crucifixion of Christ. If we are raptured out before (which I do still believe) there's a good chance for this plan to be "enhanced" and "made bigger" in the meantime, while the rapture aftermath chaos will trigger both the rise of the antichrist leader and a peace deal on a GLOBAL scale. MARANATHA! It could be that Trump won't reveal his peace plan at all and that a European political leader who will be the antichrist will do that. At https://www.nrc.nl/nieuws/2019/02/17/de-rechtse-vrienden-van-netanyahu-a3654361 "De rechtse vrienden van Netanyahu" (The rightwing friends of Netanyahu) about Netanyahu seeking friends with some Eastern European nations which are ruled by authoritarian right-wing leaders. Use Google Translate to translate this article in Dutch to English. In second to last sentence, I meant to say Christ's time with his bride the Church is not while Israel is going through hell (which makes more sense), but before. In Iranian mythology, especially in Persian mythology and in Zoroastrianism, the ancient religion of Persia, Sirius appears as Tishtrya and is revered as the rain-maker divinity (Tishtar of New Persian poetry). Beside passages in the sacred texts of the Avesta, the Avestan language Tishtrya followed by the version Tir in Middle and New Persian is also depicted in the Persian epic Shahnameh of Ferdowsi. Due to the concept of the yazatas, powers which are "worthy of worship", Tishtrya is a divinity of rain and fertility and an antagonist of apaosha, the demon of drought. In this struggle, Tishtrya is depicted as a white horse. Sirius will be occluded over next few hours. Sirius is the Hunter with the bow. Sirius is connected to the Revelation 12 Sign. Sirius shot the comet into the womb of the virgin in the Revelation 12 Sign. So darn cool is right! Okie Proud and All, I cannot express the joy in my heart as you uncover the treasures buried in God's Word. The overwhelming flood that comes with eyes and ears opened to see plainly the Love of God in Christ for you. Indeed, it is a blessing to search the Scriptures and meet the LORD there. Each day I look forward to it and loose myself many an hour of study. Okie Proud shared that he felt it not enough to look into the words given in concordance but to read the entire chapter surrounding the word. That my friends is wisdom. Not to just understand a word, but to seek its meaning in the greater context of the fullness of His Word. In doing that buried treasure was found! I encourage you to do the same concerning (H1111) "בלק" the name of a Moabite king which means "devastator" and see what the LORD reveals to you. Seek, learn and teach what you have learned in the natural course of your day. For the days are growing short and the fields await the harvest. God Himself will provide. It is to us to listen and be present as He calls. Dig deep and be thirsty for the Word of God. Don't be content with a morsel when you may enjoy a feast! The table has been set; a place prepared for you! May He be first and foremost in your day and in your life. An appointment with the King has been set; come into His court that through His love you may love others through the love you have received. That through His Word you may bless by the blessings you have received. That the work of God is pure joy and not a burden. May you be blessed in this way, today and everyday, in mighty and powerful name of Jesus Christ our Lord. That's an interesting perspective. I tend to look back at the Biblical narrative of the birth of Jesus and how His life was sought by the hand of Herod. So many shadows of things to come. Just as national Israel to come, Jesus was born and was immediately attacked by the dragon. So then one may ask...was Jesus established in the land before or after Herod's death? I believe we celebrate His establishment in the land upon His birth at a time called Christmas. May we say the same about the establishment of modern Israel? Time will tell but I believe so. i know what you mean Pastor Rich, i believe so as well, deep down. @ izaates bar monobazeus, i need to be careful w/ my comments concerning Pres. Trump....sorry, who am i to say. Very nice article. This article provided me very nice information and i think that it will help me with a subject related to chalta purza.This matter between Israel and Palestine is a big matter for the stability of Middle East.